Miami is an exotic destination known for its gorgeous beaches, spectacular vistas, festive culture, and unparalleled luxury. It’s a city of sunsets and palm trees, a city of limitless indulgence. To arrive in Miami means to arrive in style, and to that end we have worked tirelessly to make a name for ourselves in the market – a luxury car service always willing to go the extra mile. Imagine the frustrations that usually attend MIA airport travel. Now, instead of the hassle, instead of the complicated shuffling and waiting involved, imagine arriving at the gate and meeting a suited professional driver ready to attend your needs. Imagine having your baggage carried to a Mercedes S-Class sedan ready to transport you to your destination. Imagine an absence of worry, an absence of concerns. We pride ourselves on our commitment to service. We take special care to select drivers with sterling records, extensive experience, and requisite licenses. Furthermore, we specifically train our drivers to understand the needs of Miami airport travel – the traffic patterns, the key routes to approach, the specific geography of the destinations. We drug test our drivers to ensure their focus and clarity of mind. All of this adds up to one singular experience: carefree luxury and an understanding that you’ll arrive on-time and in style. Our goal is to eliminate your concerns, to reduce your stress, and to let you focus on what’s important during your travel to and from Miami: your own priorities, not those of anyone else. Every trip is different, and every passenger has specific needs requiring attention in order to facilitate a pleasant and well-appointed trip. Whether you require early pickup, late pickup, transit to and from the cruise ship terminals or other ports, nightclub pickup service, special party service for weddings or other gatherings, or any other kind of car-service transit, we strive to provide excellence and peace of mind. 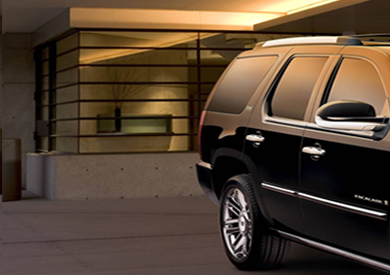 We’ll coordinate your MIA airport travel details in advance and ensure synchronization between drivers and passengers. We’ll go the extra mile and attend even the smallest detail – we do the legwork so that you can stretch out and relax. All you need to do is call us at 305-902-4417. In a city of hot neon lights, cool beachfront parties, beautiful and exciting people, and indulgences of every stripe, any distraction or inconvenience is a moment wasted, a moment that could have been spent seeking the next enticement. We’re proud to offer the best of Miami – the best way to experience Miami – and we want you to be confident in choosing us to help you witness the city’s majesty. For us, a job isn’t done unless your needs are met, and as such we are willing to make this pledge: you will not find a service more dedicated to your enjoyment of the city and its pleasures.